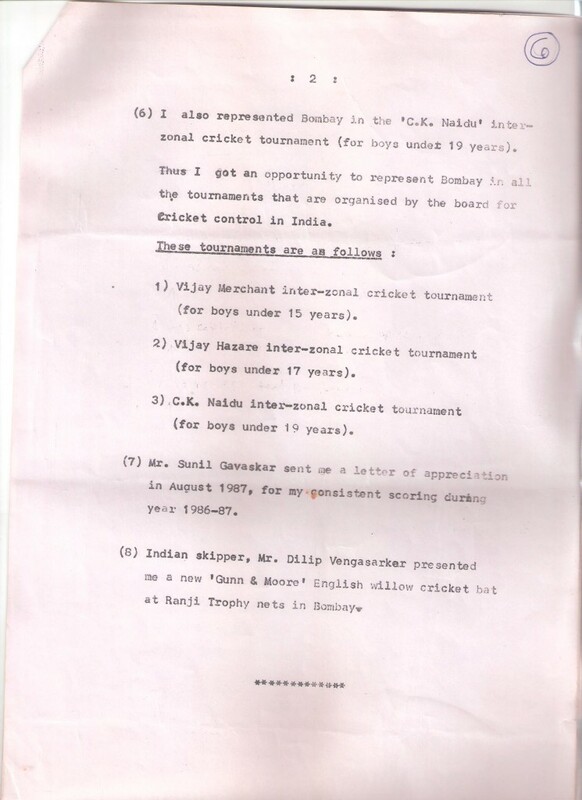 Sachin Tendulkar has achieved everything one could possibly hope for in the world of cricket. And unlike other people, who start off slow, then then work their way to the top, he never seemed to have any sort of humble beginnings. Ever since he picked up the bat, it seems that he was meant to do nothing else but be the best at the game. 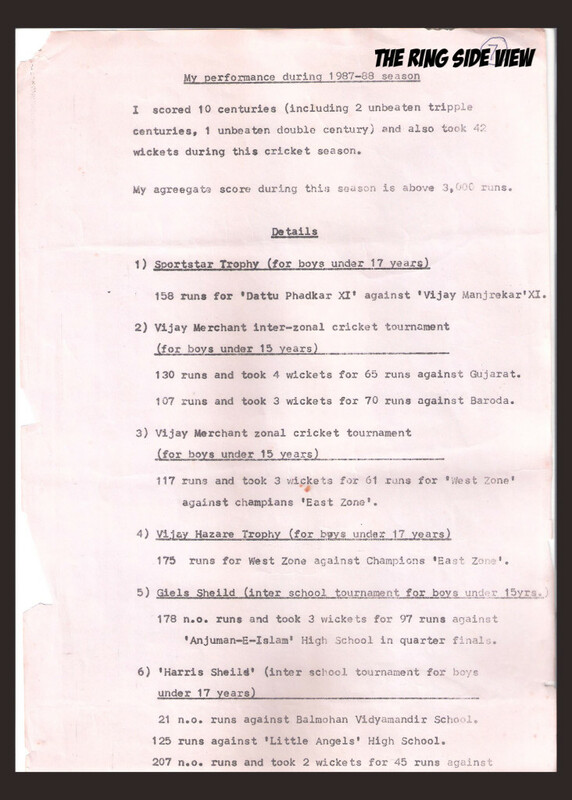 In a resume dug up by The Ring Side View, a 15 year old Sachin chronicles his achievements on the cricketing field. 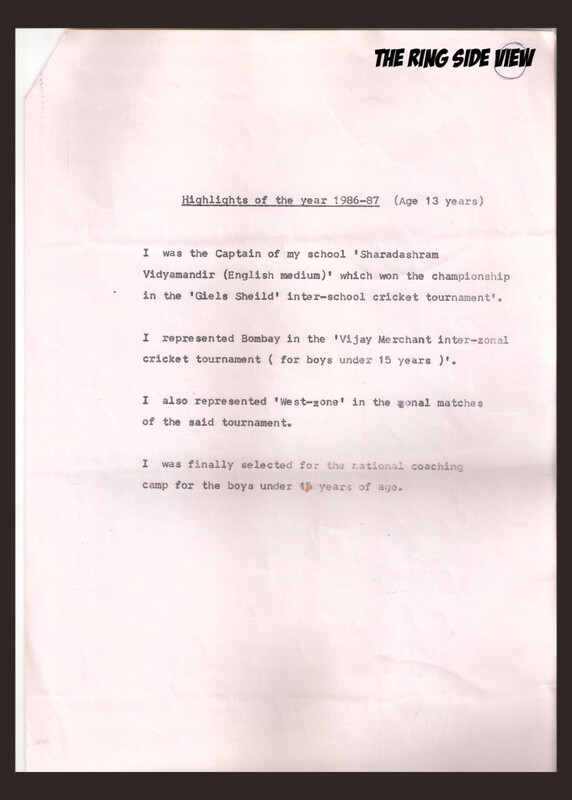 Neatly typewritten on fading yellow paper, the resume brings to light Sachin’s cricketing career from the ages of 13 to 15. World record breaking achievements are mentioned matter-of-factly, it runs into 7 whole pages, and there’s a certain 90s charm about it. A young Tendulkar wasn’t the swashbuckling opener he became to be best known as. 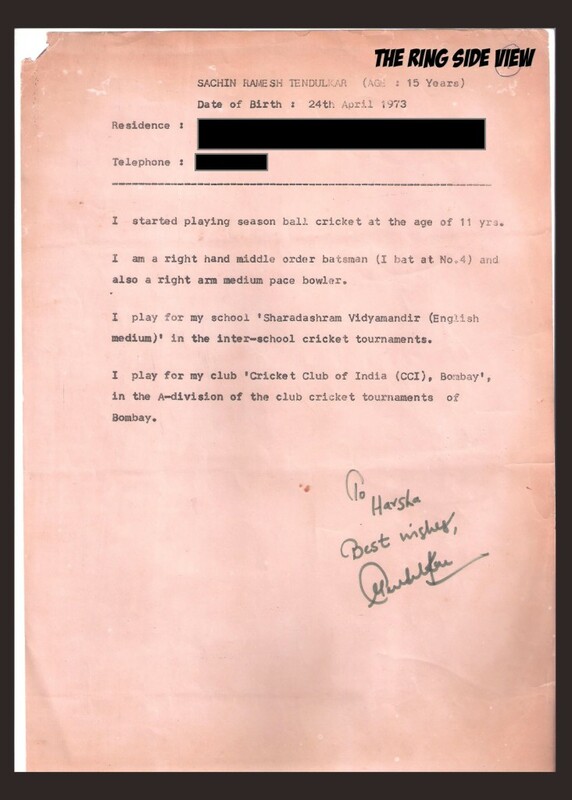 At the age of 11, Tendulkar describes himself as a No.4 batsman and a right arm medium pace bowler. 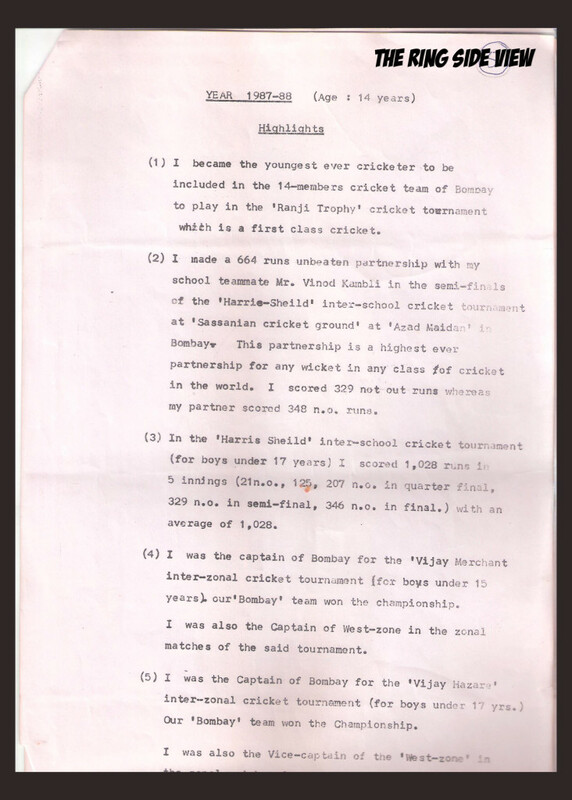 The resume talks about Tendulkar’s record-breaking innings with a certain “Mr. 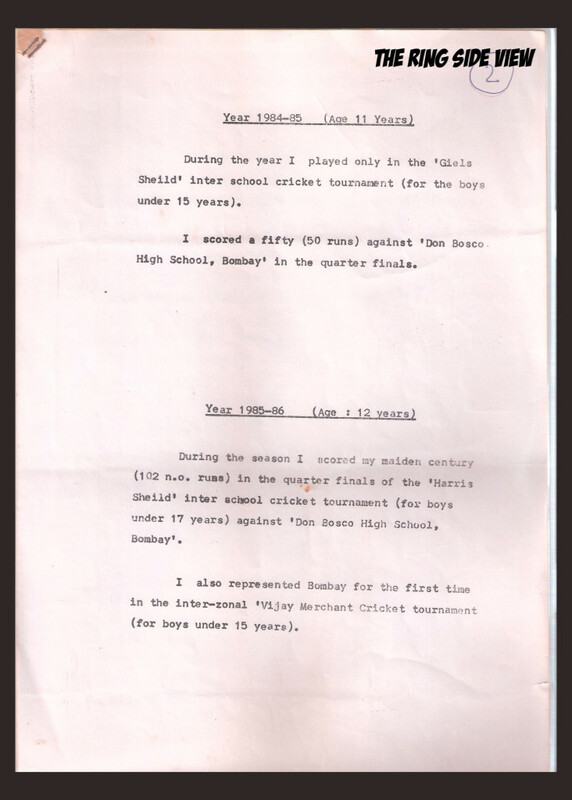 Vinod Kambli” that thrust him into the national spotlight at the age of 14. 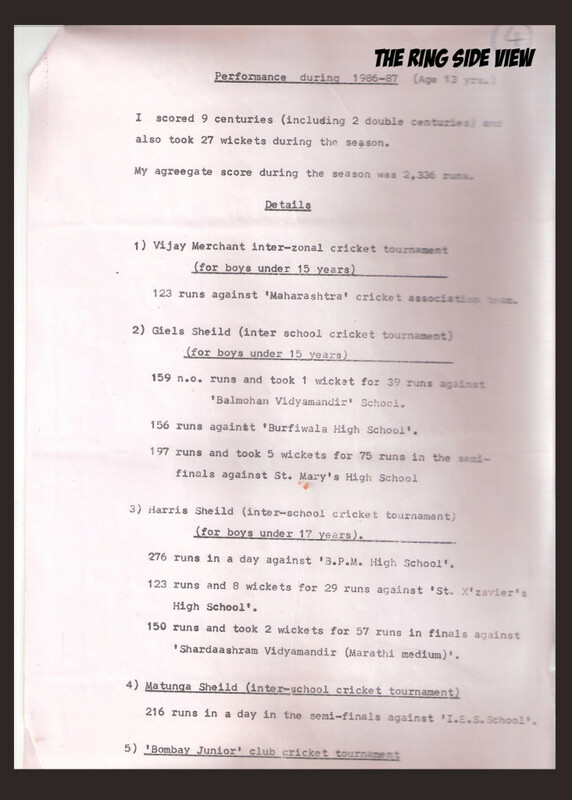 This is a serious bit of cricketing history. We won’t be surprised if this ends up in a museum somewhere.